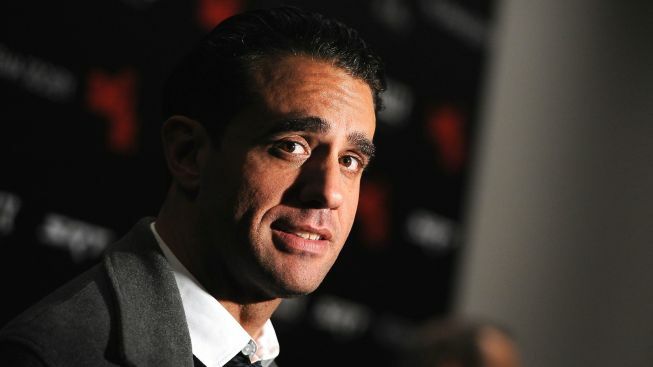 Bobby Cannavale, at the premiere of "Stand Up Guys" on Dec. 9 at MOMA. The Roundabout Theatre Co. has set an opening date for its revival of “The Big Knife,” by Clifford Odets, starring Bobby Cannavale. Previews will begin March 22, 2013, at the American Airlines Theatre, ahead of an April 16 opening. This will be the first new Broadway production of Odets’ 1949 story about integrity and success, themes already getting a good workout on stage in the late author’s just-opened “Golden Boy,” at the Belasco. “The Big Knife” is set in Hollywood’s Golden Age, “in a glossy world of rumor mills and rocky friendships, where the Hoff-Federated studio has had its most successful star, Charlie Castle, over a barrel ever since it helped cover up a mistake that could have ended his career,” according to press notes. “The Big Knife” will be directed by Tony winner Doug Hughes (“Doubt”).